We've reviewed quite a few TVs in the past, but all of them had one fatal flaw. Namely, the bigger the screen, the bigger the unit as a whole, meaning you are limited as to where it can go in relation to all your furniture. Projectors solve that issue, but surely a projector could never rival the picture quality of a TV, right? 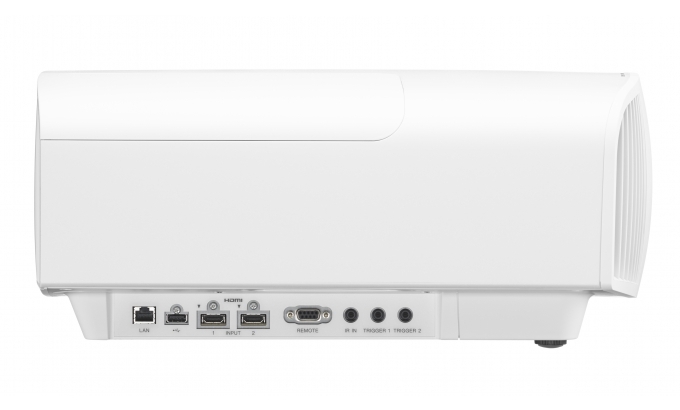 Yes, it can, as we discovered reviewing the Sony VPL-VW550ES 4K Projector. Despite the shortcomings with the name, this projector is indeed as compact as something of this calibre can be. The Sony VPL-VW550ES 4K Projector is less than 50cm long and wide, and it weighs just 14kg. We say 'just', but it is still very easy to pick up by one person, move around, and carefully put down. 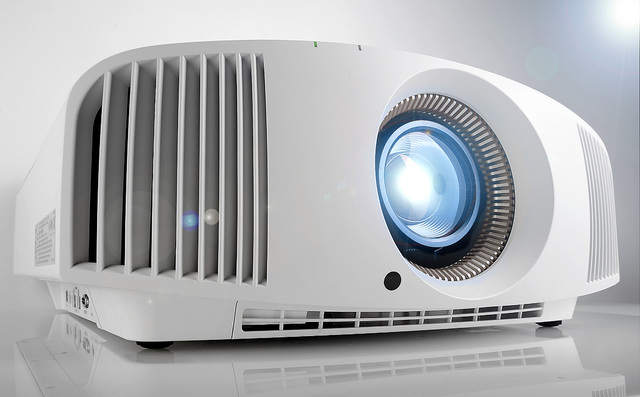 Some projectors are far bigger and heavier and don't boast a '4K' in their name. 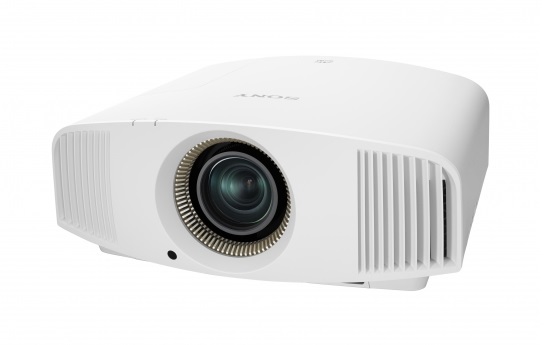 Once you have it where you want it, pointed at an appropriate blank wall or screen, the Sony VPL-VW550ES 4K Projector can be adjusted in just about any of the ways you would want, controlling both screen projection shape and focus, as well as aspect ratio, contrast and brightness. As with all projectors, this works best in a fully darkened room, but we did notice that even with some low-level lighting on, the picture was still alarmingly bright and clear. 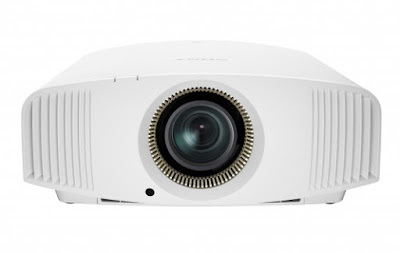 That is because the Sony VPL-VW550ES 4K Projector throws out images with a lamp of up to 1800 lumans in brightness. You really don't want to be peering into the lens when this thing starts up. Just saying. Even the set up menu was seared onto the wall of our living room, so getting the right picture via the included remote was a doddle. Inputs include two HDMI ports, as well as the standard RGB connectors and USB, although we only ever tested it with, as you might assume, a HDMI cable linked up to a Blu Ray player. One other thing we played about with was a Roku Streaming Stick, using one the HDMI ports and the USB for power. It worked like a treat, giving instant access to web services like Netflix and Amazon (although the Stick isn't a 4K device). Regardless of what you have plugged into it, the Sony VPL-VW550ES 4K Projector chucks out a gorgeously clean and crisp picture. The screen size ranges from a minimum of 60 inches, up to a maximum of 300-fricking-inches. Obviously, the smaller and tighter the screen, the more dense and crisp the images, and we found that a projection size of around 100 inches suited us the best. Plus, you'd need a pretty massive wall or screen to get up to 300 inches - still, it is nice to know that you can, in case you ever start your own film club or something. Hooking up some 4K media via a laptop, we were able to enjoy an extremely fun night of films and TV. The 4K quality really does show, resulting in a projected image the likes of which we've never seen - outside of a modern cinema. The true test of the quality was how black appeared, and it was striking to see how inky the blacks were - as opposed to a just an absence of light, and therefore the colour of your wall in a dark room, as with lesser projectors. Yet, as good as the Sony VPL-VW550ES 4K Projector performs, the price will leave you reeling. All of the prices we found online were just shy of £10,000 (! ), so this isn't something you're going to purchase on whim. Unless you're loaded, in which case please be our friend. But, if you're striving to make the very best home cinema money can buy, and you fancy a future-proof projector that is light and compact enough to install (and also move around) yourself, we don't know of anything better than the Sony VPL-VW550ES 4K Projector.